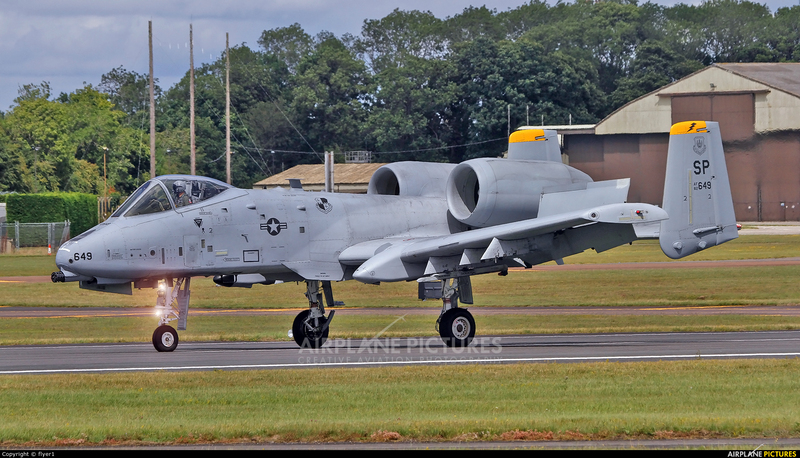 A-10 'Warthog' has the GAU-8 Avenger Gatling Gun which shoots 30mm depleted uranium rounds at a rate of 4,200 rounds a minute, in addition the A-10 has 11 mounts for rockets, missiles, bombs, pods etc, the machine can carry an additional 13 tons of weaponry. The last A-10 rolled off the assembly line in 1984.....I think it's time to build some more ! Seen here on roll-out after landing at RIAT.